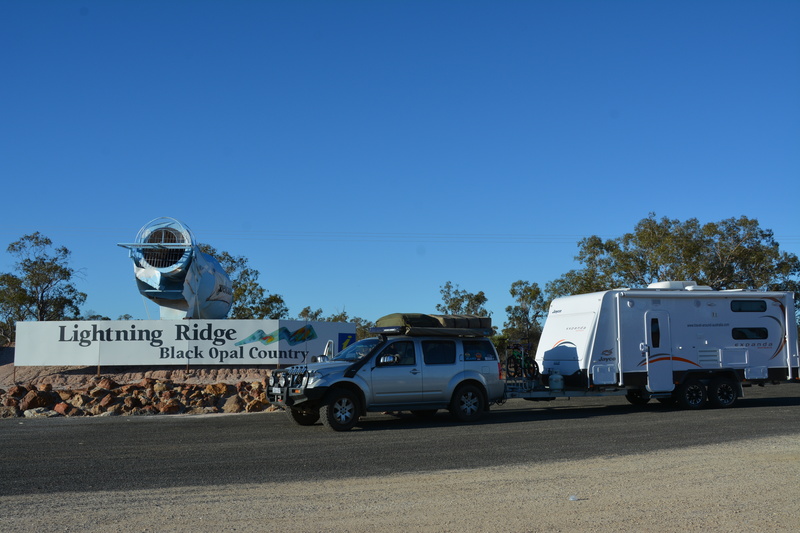 Lightning Ridge is home to the legendary black opal. The Ridge is your typical old mining town which has seen better days. Now that the mining boom is over, towns like Lightning Ridge rely on tourism to support their economies. 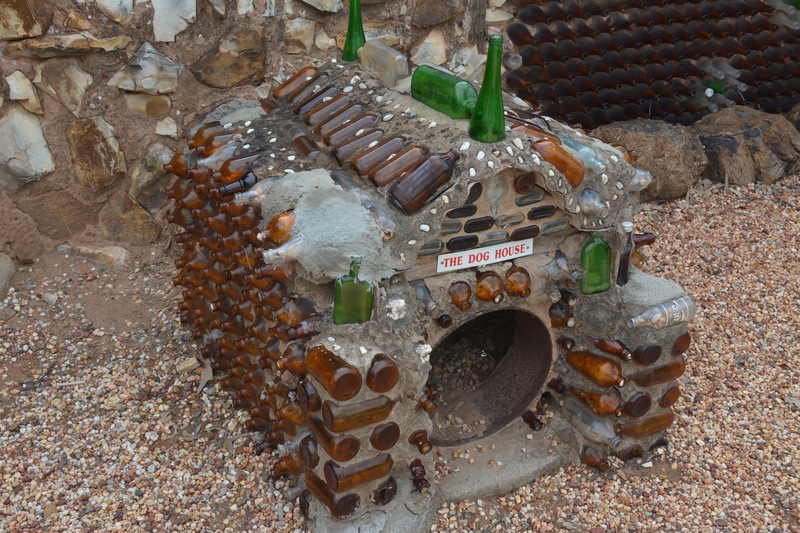 Unlike some other mining towns, however, Lightning Ridge has a few special features that make it well worth the visit. 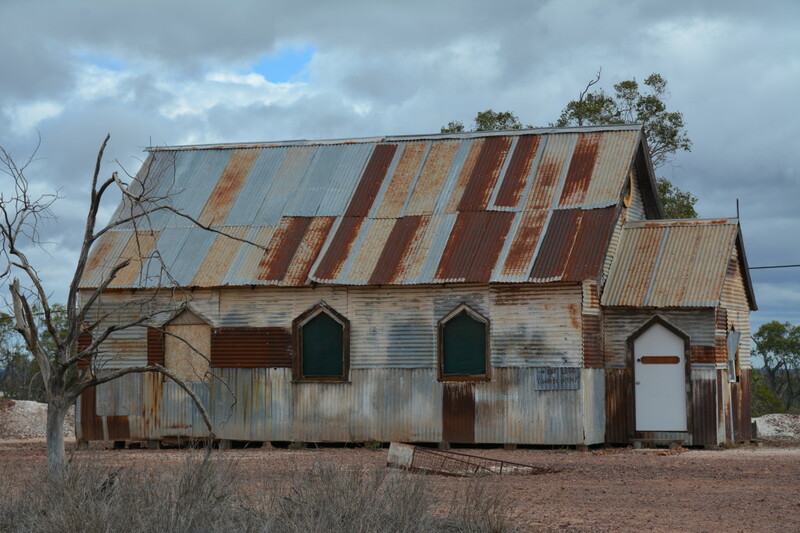 Lightning Ridge is located around 75km north of Walgett in north-west NSW. The Ridge has the largest deposits of black opal anywhere in the world. Black opal is so named because of the iron and carbon content of the stone, which gives it a dark tint. Black opals are not solid black, which would make them worthless; they are actually the most valuable of all forms of opal. Our favourite attraction was the Artesian Baths, a large pool of steaming hot water which is funnelled up from a bore spring into the Great Artesian Basin. The water is rich in minerals, which makes it very healthy for washing and drinking. Don’t drink from the baths, obviously, but town tap water is also mineral rich. The baths are free, large enough for a couple of dozen people and a must see for any visitor to the Ridge. The Australian Opal Centre is another destination which you must visit. A small room houses an amazing collection of opals and fossils, including incredibly rare opalised fossils. The rich history of the Aussie opal fields are also on display. The Centre is completely free, and so you really have no excuse for stopping by. The Opal Centre is currently trying to raise money for the construction of a new Centre, one that is much larger and almost completely underground. Get some amazing gems, jewellery or fossils, and support this amazing free tourist attraction. Thanks to the abundance of rusting vehicle parts around the town, residents have taken to marking tourist paths with old car doors. 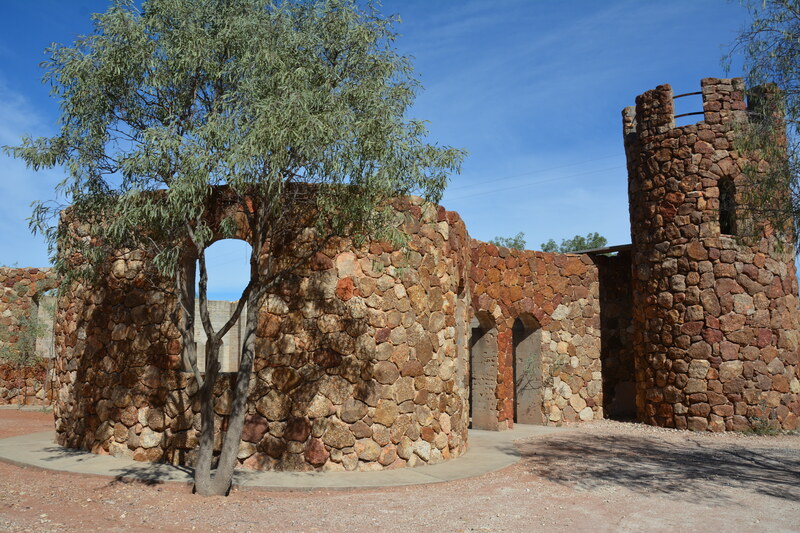 Follow the colour-coded doors to see some amazing attractions such as Amigo’s Castle (and his 50 or so cats), the Walk-In Mine (for an authentic opal mine experience), and the Big Opal Mine (the beginning of the town’s largest diggings). For accommodation, we highly recommend the Opal Caravan Park. Located a 3 min walk to the Artesian Baths, the park boasts all drive-thru sites, excellent toilet and shower facilities, a solar-heated pool (which is actually warm), a communal camp-kitchen and fire-pit and a fossicking area, where you can search for your own opals. We have several bags to take home with us. We think that this is the best caravan park we’ve stayed at so far, and could easily stay here for weeks at a time. Just to cap it all off, the park has 6 wifi routers, all of which are free and work extremely well. You can’t do better than the Opal Caravan Park. 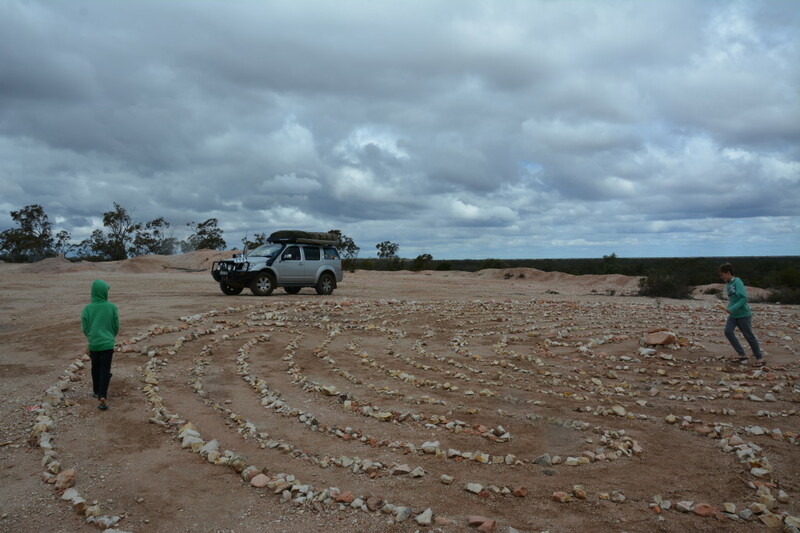 It can’t be stressed enough that safety is paramount around Lightning Ridge. Look out for snakes (you might see the one we ran over) and be aware of the numerous and deep mining shafts that are everywhere around town. Like Coober Pedy, there are signs everywhere warning you of them, so it’s impossible to forget. 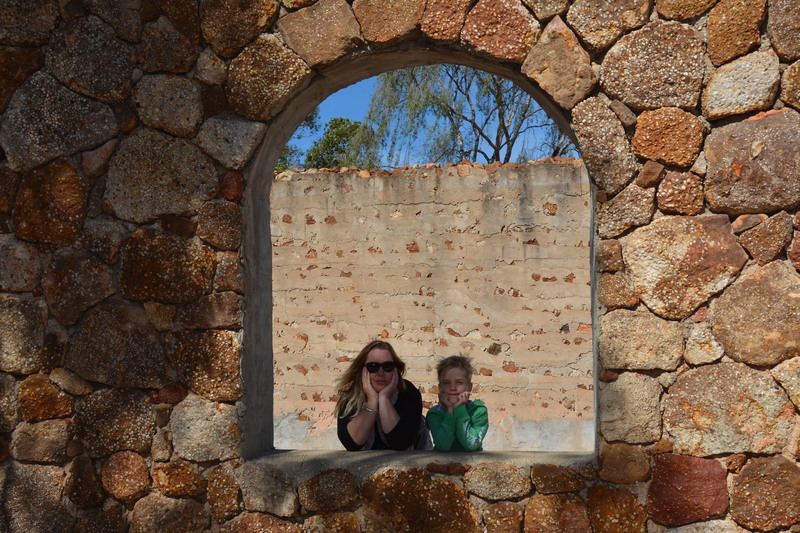 We enjoyed Lightning Ridge. We recommend a stay of 3-5 days. You won’t see everything, but you’ll see all the major attractions, which are well worth the visit.